Valley Forge and Montgomery County are alive with events this week: we&apos;ve got incredible beer and wine festivals and can&apos;t-miss concerts and music festivals. Fall theater is in full swing with three new performances opening this week at our incredible live performance venues. eat•drink•fun壟don&apos;t miss out on the 2017 Taste! Festival of Food Wine & Spirits at the Valley Forge Casino October 13th-15th. Featuring celebrity guests G. Love, Chef Brian Duffy, & many others! Get your tickets now-cheers! Three days of fine food and drink are coming to the Valley Forge Casino Resort this October. Taste! Philadelphia Festival of Food, Wine & Spirits features chef demos, wine and spirits tastings, and appearances from special guests, including Kathie Lee Gifford and celebrity chef Brian Duffy from Spike TV&apos;s Bar Rescue. Tickets range from $60-70 per session with additional VIP Experiences available. LEGOLAND Discovery Center Philadelphia celebrates Halloween with Brick or Treat weekends all through October. Kids are invited to build their own LEGO pumpkin for the pumpkin patch, join the Brick-or-Treat scavenger hunt and join in on Halloween builds in the Creative Workshop. Celebrate the arts in Pottstown this Saturday during the 2017 Pottstown Arts Walk. Attractions and businesses throughout the downtown – including Steel River Playhouse – will display works from local artists throughout the day. The National Dog Show returns to Oaks in November, but this weekend, you can get an early start on the fun this Sunday during the Charity Walk at Wilson Farm Park in nearby Wayne. The event supports multiple charities throughout the area and features agility dog demonstrations, children’s musical performances, prizes and more. The Abington Art Center celebrates the 100th anniversary of the Rosenwald fund this Thursday evening during the Rosenwald Gala. The event includes a screening of the film Rosenwald at Hiway Theater, followed by cocktails and dinner at the Abington Art Center’s Alverthorpe Manor. More than 20 vendors will be serving up their best food and drinks at the annual Taste of Ardmore event on Thursday, October 12. 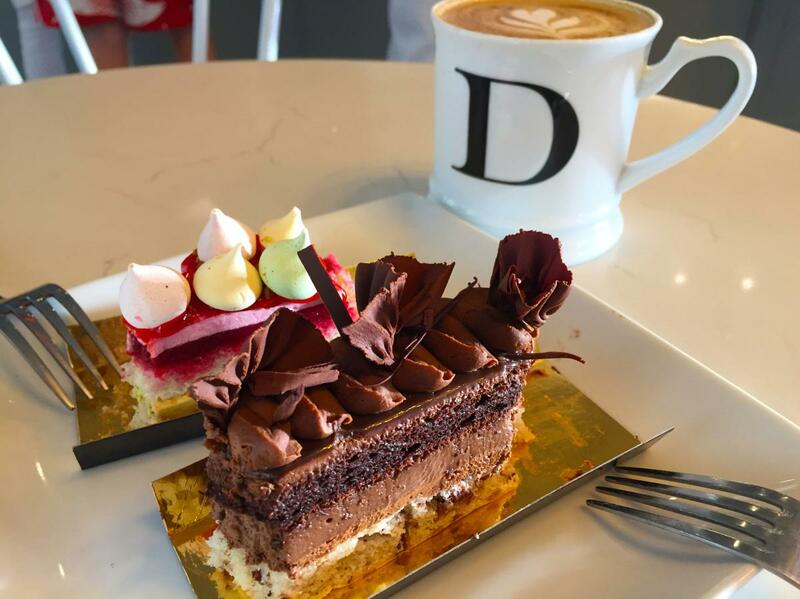 Participants include Delice et Chocolat, a Parisian-style bakery that was recently featured in The Montco Explorer. Begun in 2014, the Conshohocken Beer Fest features more than 50 regional and craft brewers. All will be bringing their best to the event. The day&apos;s activities also include tailgate games and live music. Local restaurants will be providing food throughout the day. “Uncork the fun” at Winetober Fest, Skippack’s annual wine sampling festival. Popular brands like Boardroom Spirits and Juanita Valley Winery will be featured alongside various food vendors. Dogs are welcome. The seven wineries that make up the Bucks County Wine Trail are opening their doors for a weekend-long Harvest Celebration. Each of the wineries will offer different specials and events throughout the weekend, including live music, great food, wine slushies and samplings. In 1777, 240 years ago this fall, George Washington and the Continental Army set up temporary residence on the grounds of the Peter Wentz Farmstead in Worcester Township. During the Home and Headquarters event on October 14, living history demonstrators will bring the encampment to life. Visitors will even have a chance to meet General Washington during the event. 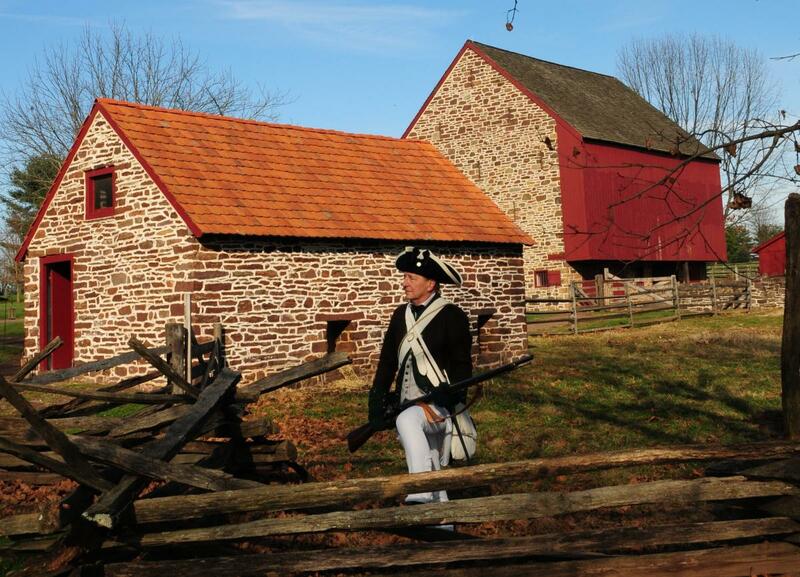 Experience fall in Colonial America during Fall Into Fun, a living history presentation at Pottsgrove Manor. The all-ages program is specifically geared to giving kids a hands-on experience and includes make-and-take crafts for children. Norristown is the live music capital of Montgomery County this weekend as Main Street transforms into the area’s largest concert venue during Norristown Music Fest. The event is highlighted by 11 hours of live performances (from 12 noon to 11 p.m.) and the World Café Live Beer Garden (from 1 to 6 p.m.). Live jazz returns to August Moon on October 14 for the first Second Saturday Jazz session of the season. This month&apos;s headliner is The Michael Andrews Quartet, featuring namesake Michael Andrews on vocals and a talented cast behind him. One of the best tribute artists in the country, New Jersey&apos;s Briz channels Neil Young for his Friday night performance at The Underground in Lansdale. The tribute show, titled "Shakey," includes performances of classic Young songs like "Heart of Gold" and "Ohio" while also providing the stories behind the songs. Montgomery County Community College continues its 2017 Lively Arts Series with a performance by acclaimed pianist Robin Spielberg. Speilberg is known as "the heart and soul of interpretive solo piano" and her one-of-a-kind performances are can&apos;t-miss for classical music lovers. Opening Week: The classic tale The Neverending Story comes to the stage at DCP Theatre for a two-week engagement. This family-friendly show tells the story of Bastian, a lonely boy who discovers a curious book called The Neverending Story, and the adventures that spring to life as he begins to read. Performances are Friday at 8 p.m., and Saturday and Sunday at 1 and 4 p.m. Opening Week: Nat "King" Cole is one of the most revered voices of the 20th century, but his life was fraught with challenges. In Lights Out, writers Colman Domingo and Patricia McGregro imagine Nat as he faces his final Christmastime broadcast. The show, starring Dule Hill (West Wing and Psych) as Nat, features performances of some of Nat&apos;s greatest hits and Christmas classics. Performances are Wednesday through Friday at 7:30 p.m., Saturday at 8 p.m., and Sunday at 2 and 7 p.m.
Sherlock Holmes is on the case of his most legendary mystery as the Village Players of Hatboro present The Hound of the Baskervilles. Watch as Sir Athur Conan Doyle&apos;s famous sleuth comes to life during this thrilling whodunnit. Performances are Friday and Saturday at 8 p.m. and Sunday at 2 p.m.
Steel River Playhouse starts its 2017-18 season with the outrageous Broadway hit The Nerd to the stage in Pottsotwn. Performances are Friday at 8 p.m., Saturday at 2 and 8 p.m., and Sunday at 2 p.m. Opening Week: Written by Tony-award winning writer Lisa Kron, the autobiographical one-woman show 2.5 Minute Ride tells the story of Lisa’s 74-year-old father and his love of roller coasters. Leah Walton stars as Lisa in this witty but honest look at life with an aging loved one. Performances are Wednesday at 7:30 p.m, Friday and Saturday at 8 p.m., and Sunday at 3 p.m.
Playcrafters of Skippack present the thought-provoking and gripping A Murder of Crows. The story centers around an elderly couple, two of the last remaining residents of a town declared a toxic waste dump. They continue to hold onto their lives and livelihood while struggling with cancer and a town that has fallen apart around them. Performances are Friday and Saturday at 8 p.m. and Sunday at 3 p.m.